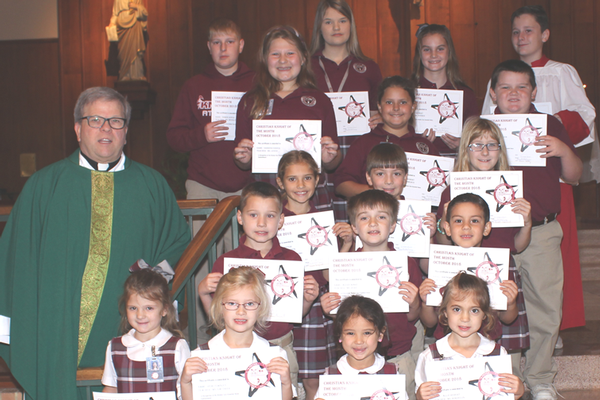 Each month teachers recognize a student from their class for exemplifying Christian behavior. 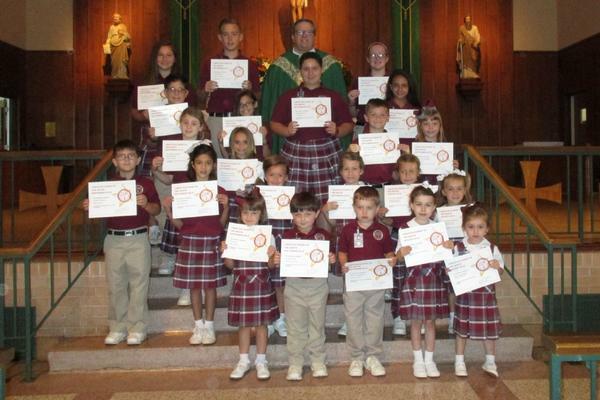 These students are recognized at our weekly Mass and their parents are invited to be present. 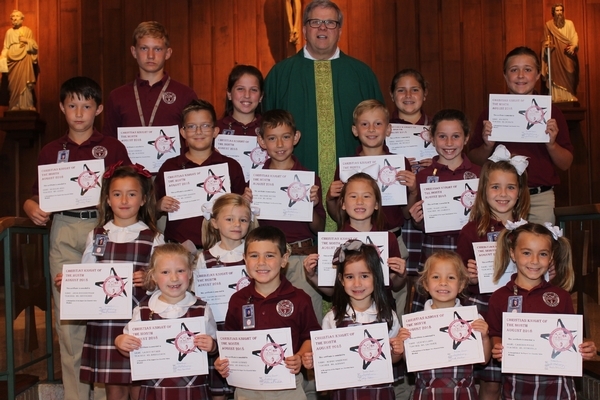 Each student's picture is placed in the school as a form of recognition as well.